The listing needing the lockbox. The Device ID of the lockbox. The Sharing code (if applicable) of the lockbox. Navigate to your new listing. Copy the Device ID and Sharing Code to the Access Details Section. 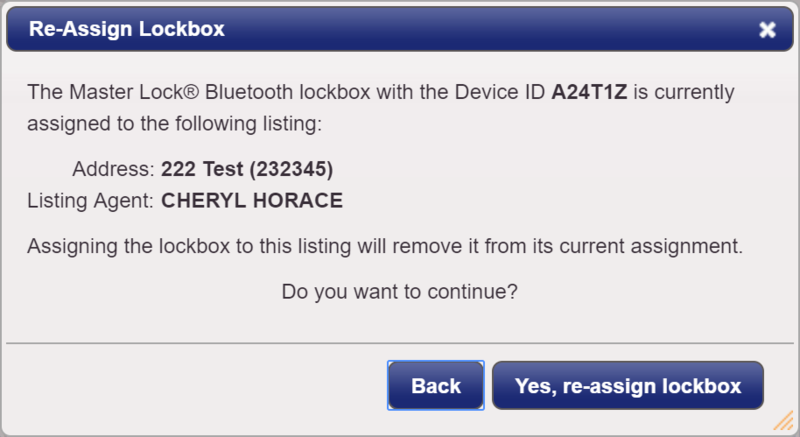 Choose to re-assign the Lockbox to this listing.